magine having four bars ready for service in one home. This was the case at this year’s Cashiers, North Carolina Decorator Show House. It is either a Hostess’s dream come true or her worst nightmare. We will assume the former. 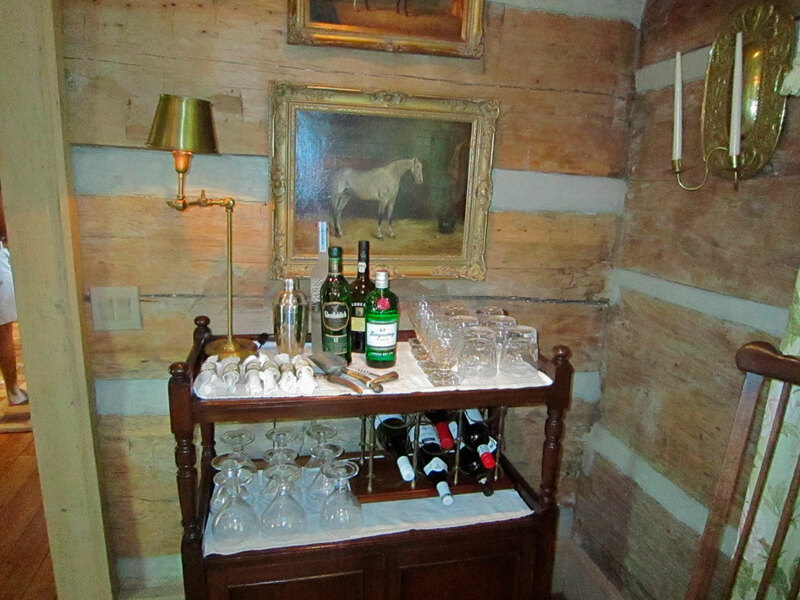 Two of the bars were set up on porches which welcome your guest as soon as they arrive. 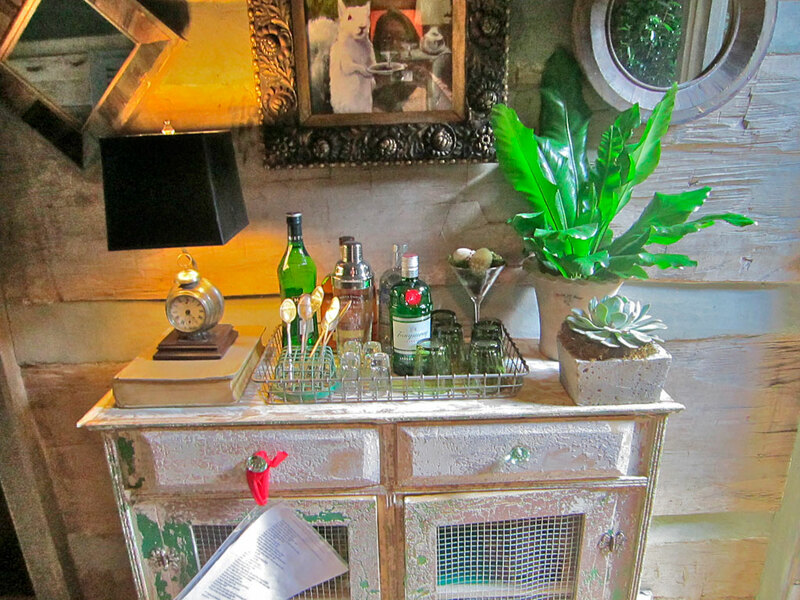 The bar on the screened porch —or “Chippy Bar”—was decorated by White Rabbit Botanicals and has a southern garden accent. 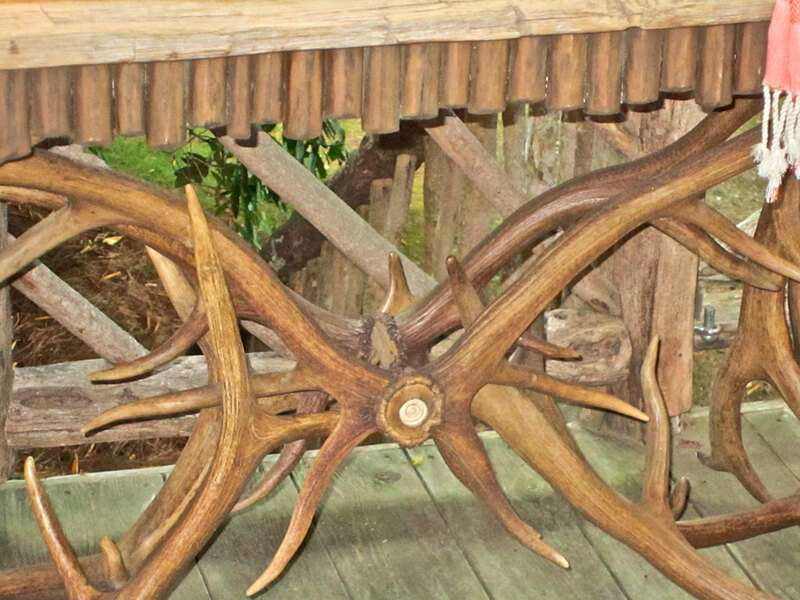 The Dinning porch bar is set on a beautiful Antler table and was decorated by Francie Hargrove Interiors. Yet another bar is located in the corner of the Dinning Room and includes crisp linen napkins folded into the most enchanting napkin rings that were carved from horn. 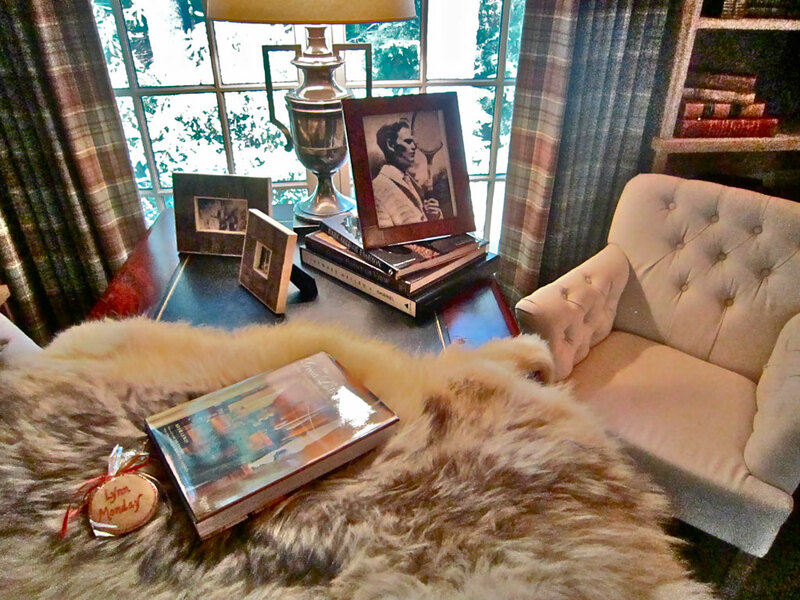 This elegant room was decorated by Toby West Antiques of Atlanta, Georgia. 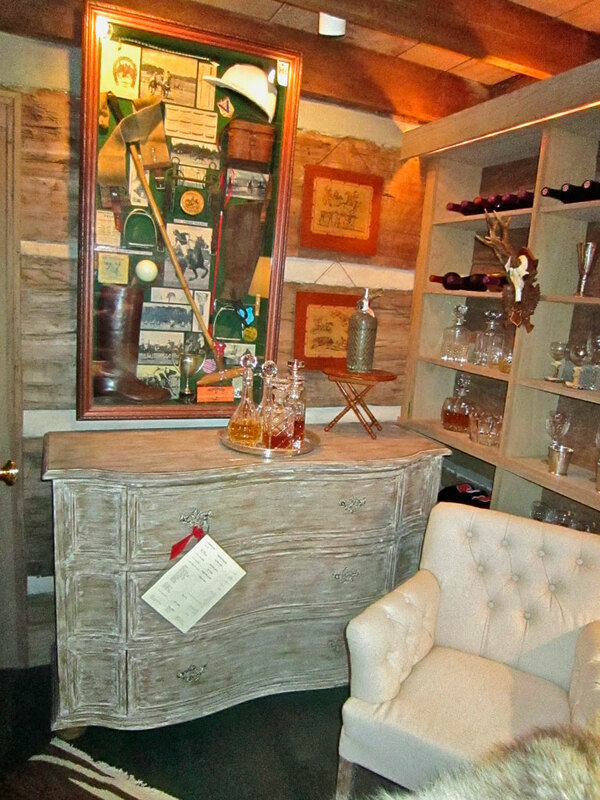 The last, but not least, bar was decorated by Lynn Monday Designs and is located in the Library of the Guesthouse. 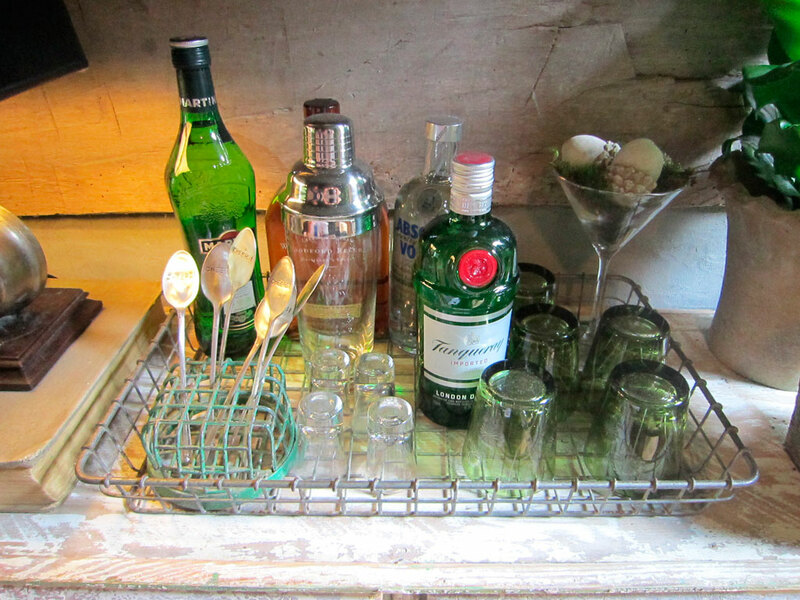 The bar is set up on a chest that provides a great mixing area, but the majority of the bar accoutrements were stored in the nearby bookshelves—Genius! 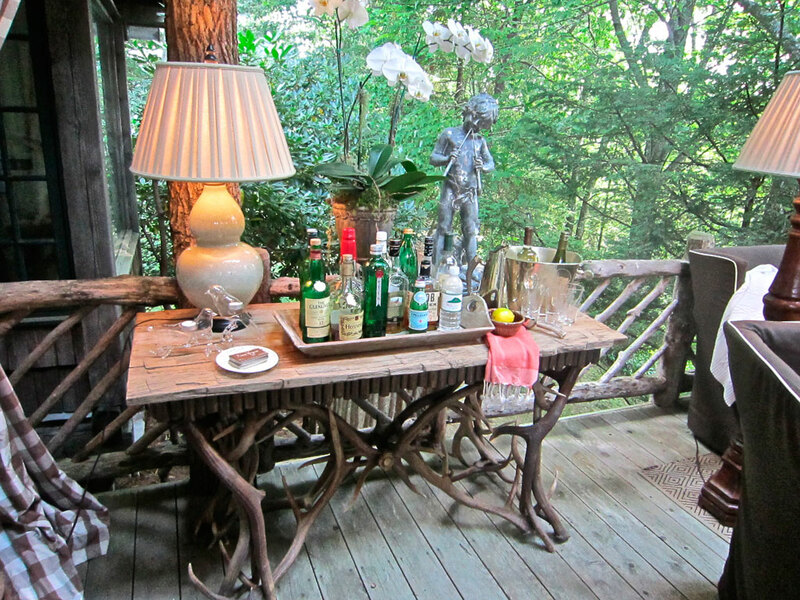 Dinning Porch Bar by Francie Hargrove Interiors—Welcome to my home! 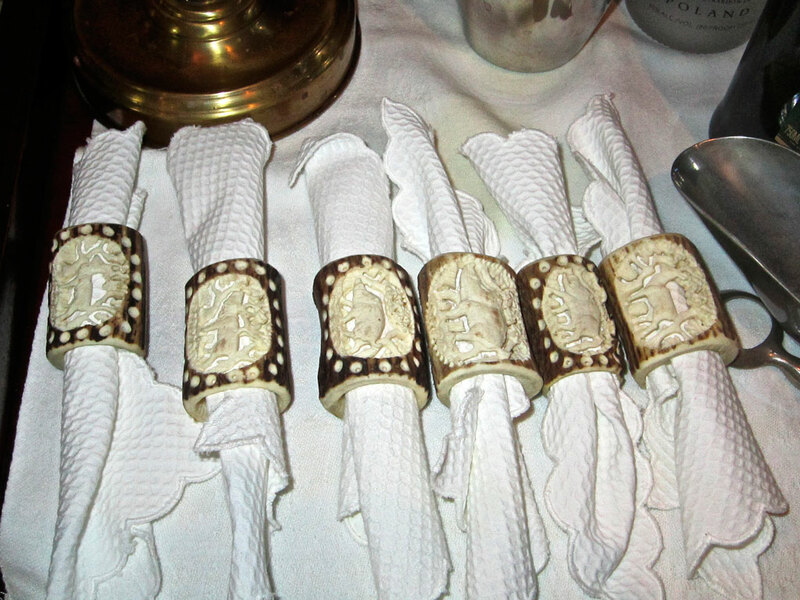 Napkin Rings carved from Antlers—so Exquisite! Library Bar by Lynn Monday Design—storage is in the bookshelves! Great style! Your site is well-designed, too. I’d love to know what the cocktail de jour was! Looks like some martinis — what else? The O’Neill staples are Tanqueray, Makers Mark, Jose Cuervo and Kirkland Vodka — which I hear is the same as Grey Goose — well that’s my story and I’m sticking to it!!! And what about the mixers? Coke Zero, Tonic (not the low cal kind), soda…Also, I usually have a bottle of champagne handy, just in case!